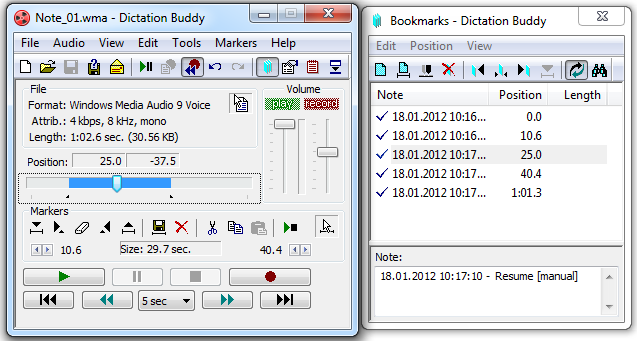 Dictation Buddy is an audio recording program primarily for voice and phone recording. It can also be used for transcribing and publishing sound files. The software can record phone conversations in call-center environments and allows for easy management of sound files for review of agent activities. Main features: 1) Automatic sound activation; 2) Automatic file save on phone hang-up; 3) Imbedded text notes and bookmark facility.